This Monday is Martin Luthern King Day and Lansing residents have the chance to celebrate Doctor King's legacy with a special luncheon. Hi, my name is Jonah Hilliard and here's what's going on around town for kids like me. How many of you love to camp? No matter what time of year, having an RV makes camping so much more fun. 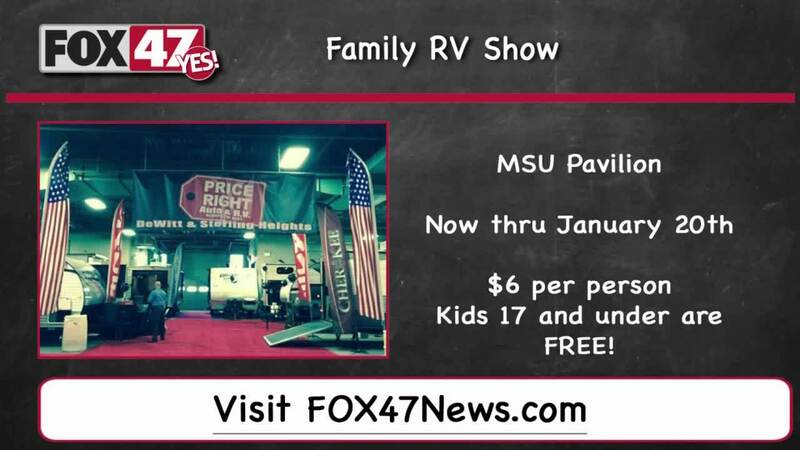 This weekend you can go to the MSU Pavilion to see more than 150 RV's. Bring your family and check out all the great, new features that these RV's have. This event only costs $6 per person and kids under 17 are free. For mroe information on events like this, go to Fox47news.com. My name is Jonah Hilliard.